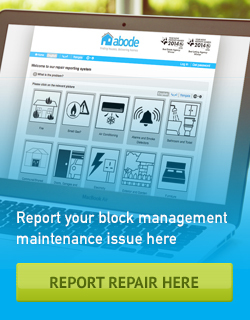 At Abode, we have ensured that time is spent listening to our clients to be able to develop a block management service that catered to your specific needs. Our team place a large emphasis on delivering value for money with fantastic customer service and enforcing statutory legislation. We provide a bespoke service to offer you the flexibility from us as your agent whilst offering a total hands – on approach to enable you to receive a more comprehensive service than any other agent, and give you the freedom to enjoy the greater benefits from your investments. Our wealth of experience combined with our dedicated local team ensures your development receives a service that is second to none. We have adopted a more hands on approach in providing our clients with local property management teams as part of our robust infrastructure. This differentiates us from the majority of block agents and their office based roles which enables our team to react quickly to the developments needs and maintain a regular on-site appearance. Over 12 months, we have hand selected the right staff, expanding the entire lettings and property management department, to not only cope with the growing numbers of properties we manage, but also to exceed our landlords and tenants expectations. All new staff have been strategically picked to assist with each stage of the letting and management of your property. From experienced valuers, in house contractors, and designated lettings negotiators, as well as a hands on and vastly experienced manager, you are provided with a team that is specifically geared to working with you as well as for you.